I bought butter, a bag of sugar, five packages of cream cheese—all ingredients that rarely appear in my kitchen. 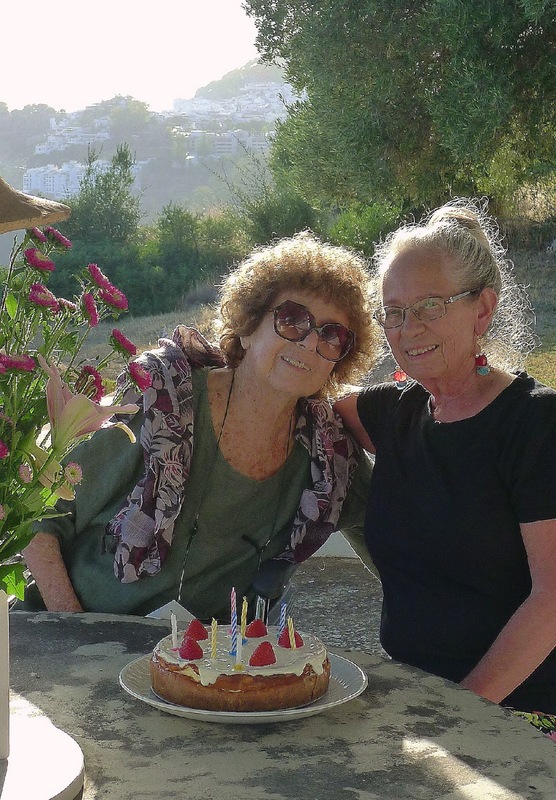 These radical ingredients were to make an old-fashioned cheesecake for the 88th birthday celebration of my good friend, artist Charlotte Gordon. 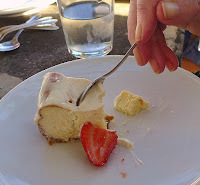 This was cheesecake “by the book,” with no substitutions such as I usually make—olive oil for butter, stevia or other artificial sweetener in place of sugar. 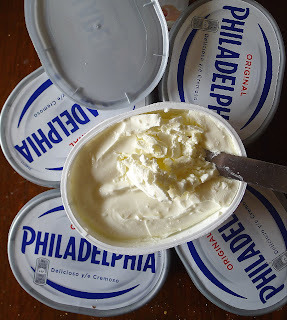 Of course I used ™Philadelphia cream cheese for the recipe, as Charlotte is originally from Philadelphia. 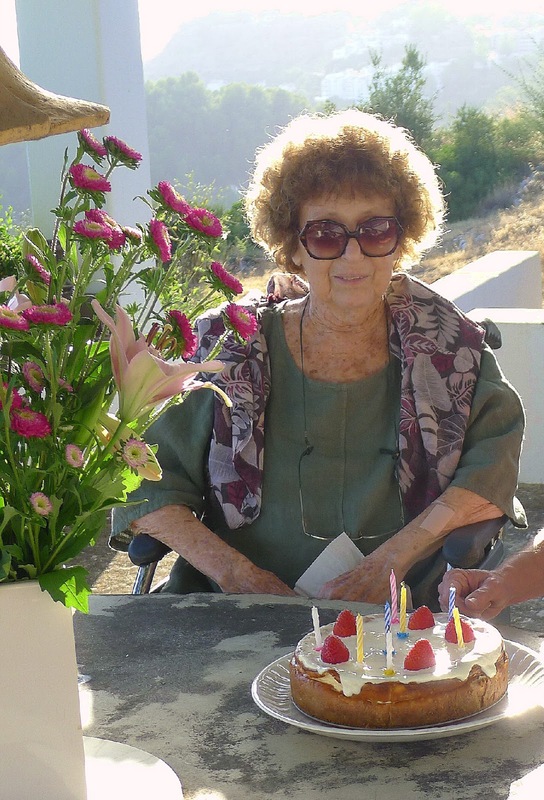 Though her love of cheesecake probably flows from years working in New York City, where she was art director of Seventeen magazine in the 1950s. I met Charlotte when she and her husband, Harry, a designer, came to live permanently in Mijas, Spain, in 1973. Together, we´ve cooked and shared meals ever since. 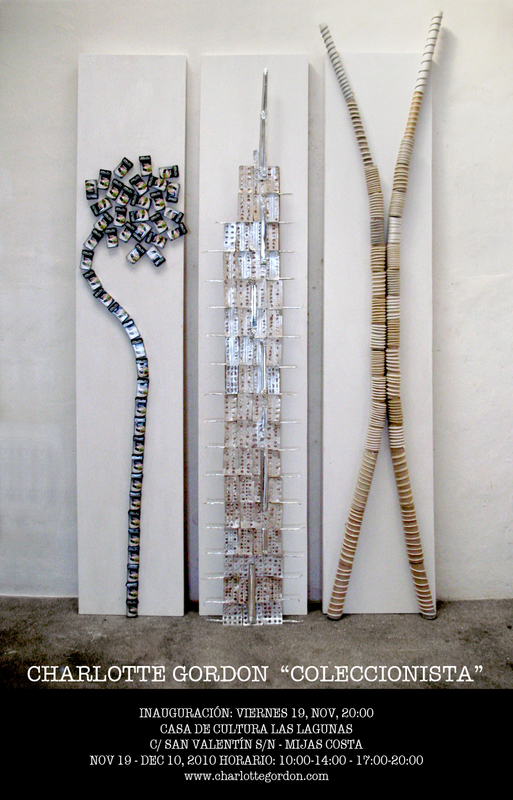 Charlotte continues to make sculpture, collage and photography here. Birthday girl, 88 years and counting. 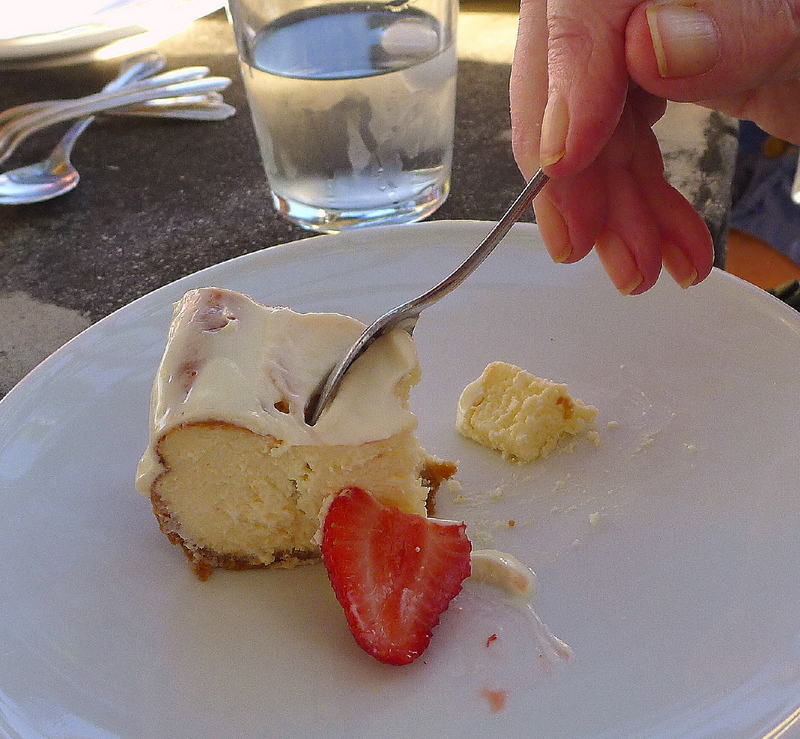 Cheesecake is topped with plain sour cream or crème fraiche. 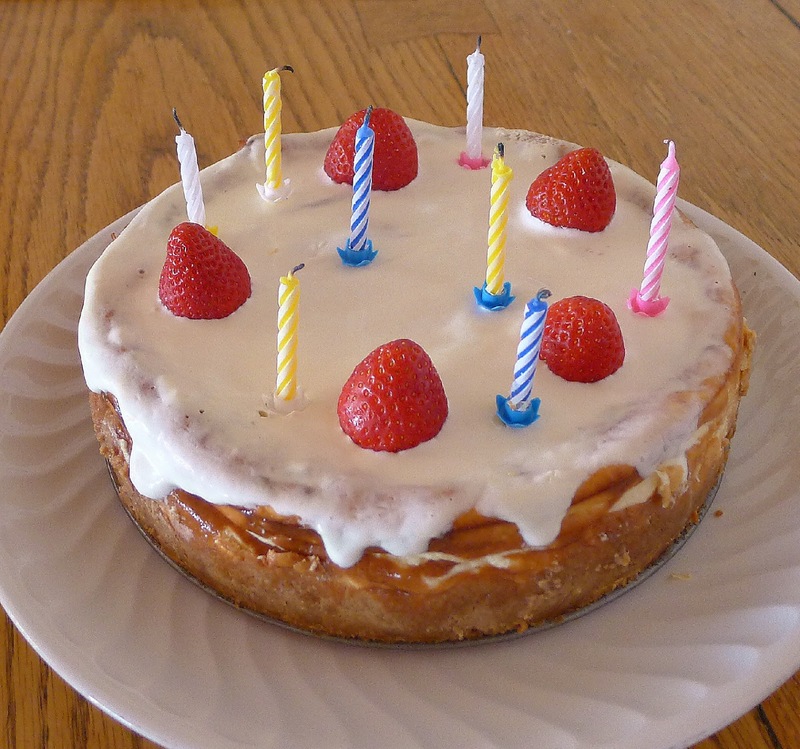 Candles and strawberries are optional. 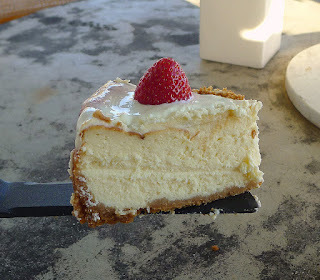 Cheesecake is sweet and creamy. 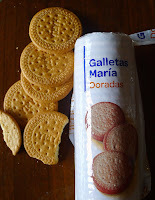 In Spain, where graham crackers are not available, I used crushed galletas María. These are plain, not-too-sweet cookies. Vanilla wafers would be a suitable substitute as well. They are quickly ground in a food processor. Most recipes for graham-cracker crust call for additional sugar, but I did not use it. Butter can be melted in the microwave. For this cheesecake, the crumb crust is chilled before being filled and baked. 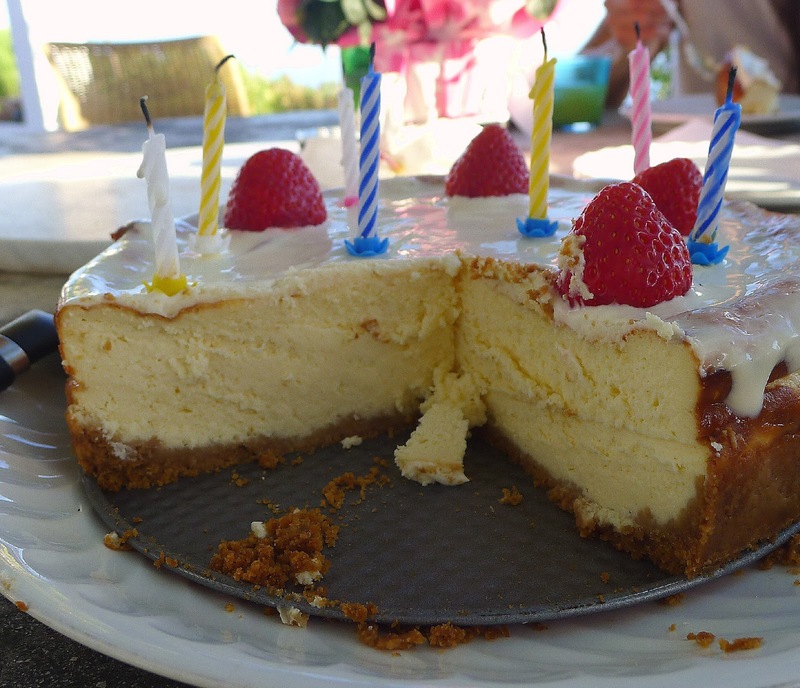 If using it for a no-bake, gelatin cheesecake, pre-bake the crust in a 400ºF oven for 6 minutes. Makes enough to line a 9-in/ 24-cm springform pan. Place crumbs and sugar, if using, in a bowl. Add butter and mix well. Lightly butter a 9-inch springform pan. Press the crumbs evenly into the bottom and part way up the sides of the pan. Chill the pan at least one hour before filling and baking. Charlotte is from Philadelphia and so is the cream cheese. In Spain, packages of cream cheese are 250 grams, or slightly more than the 8-ounce packages called for in the recipe. I weighed out 40 ounces, but I expect the slight extra quantity wouldn’t affect the recipe’s results. Be sure to remove cream cheese from the refrigerator at least one hour before starting the recipe so it has time to soften. 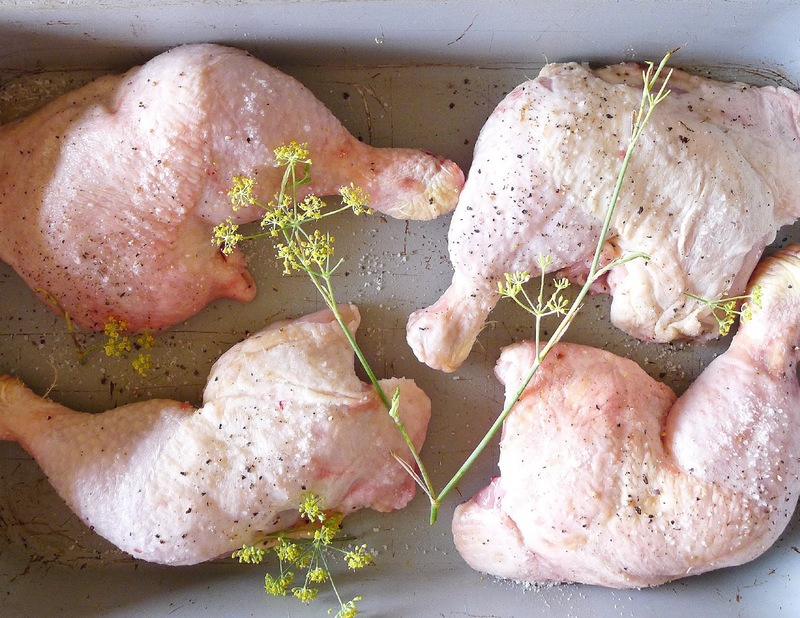 Place a sheet pan or foil beneath the pan in the oven in case there is any leakage from the springform pan. 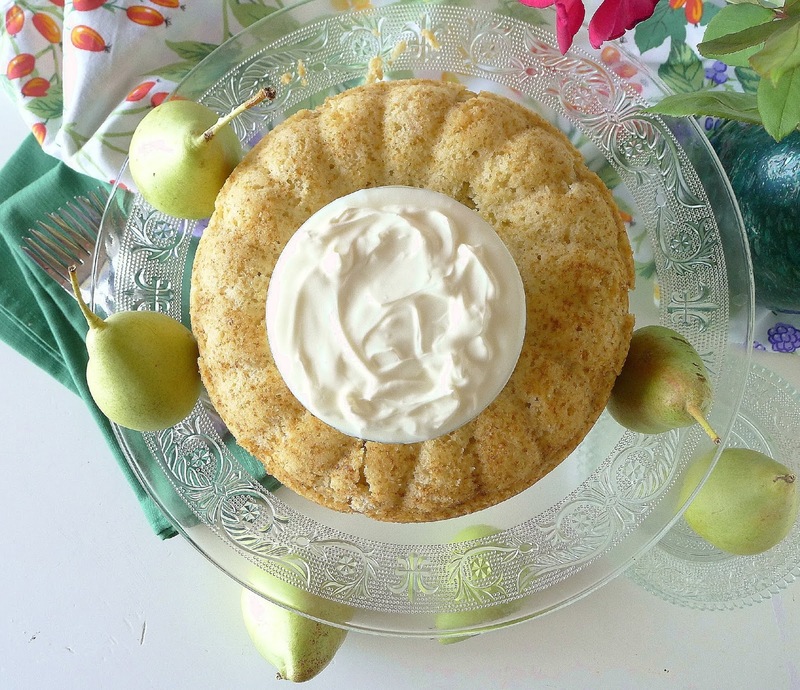 In a mixing bowl, beat the cream cheese until fluffy. Add the lemon juice. Beat in eggs, one at a time. Add the vanilla. Gradually beat in the sugar mixture, then the heavy cream. Preheat oven to 450ºF. Remove pan with crumb crust from refrigerator. Carefully pour the cheesecake batter into the pan. Bake 10 minutes. 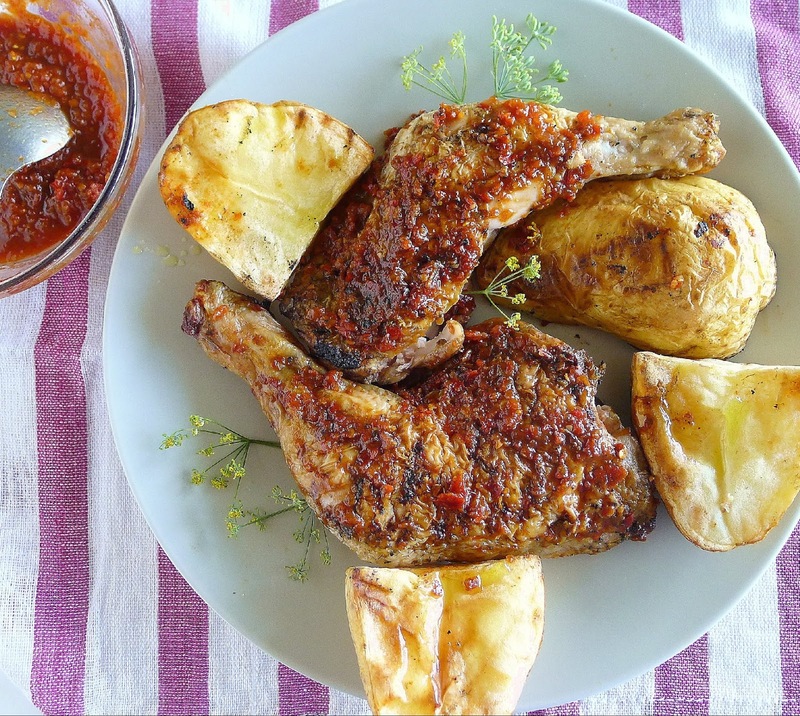 Reduce oven temperature to 250ºF. Bake 60 minutes more. 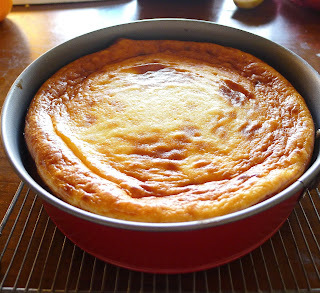 Cake will have pulled away from the sides of the pan but will still be soft and jiggly in the center. Turn off the oven and open the oven door. Leave the cake in the oven another hour. Remove and set the pan on a wire rack to cool completely. 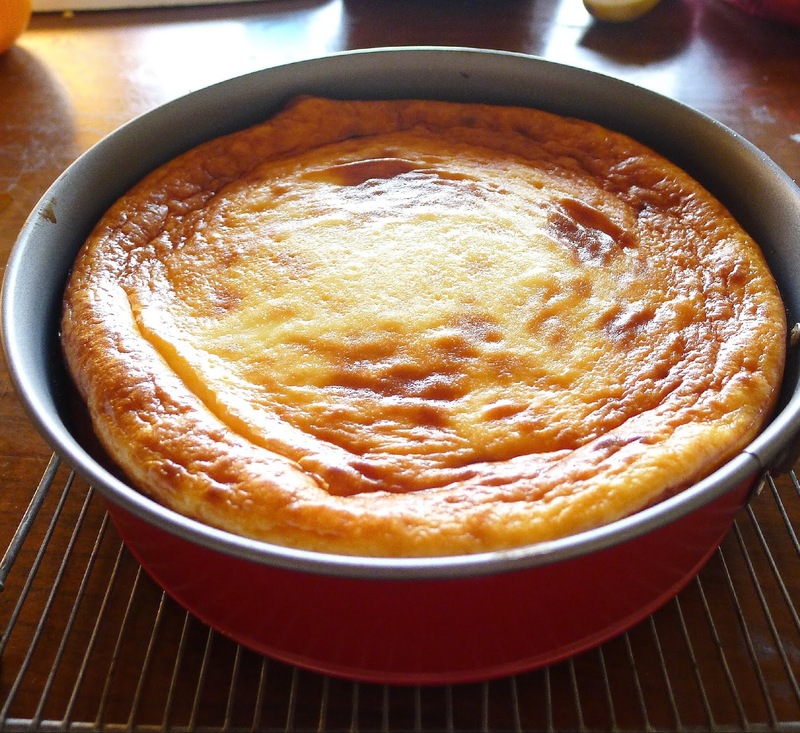 Cool cheesecake first in the turned-off oven, then on a rack before unmolding. Refrigerate the cheesecake in the pan until well-chilled. 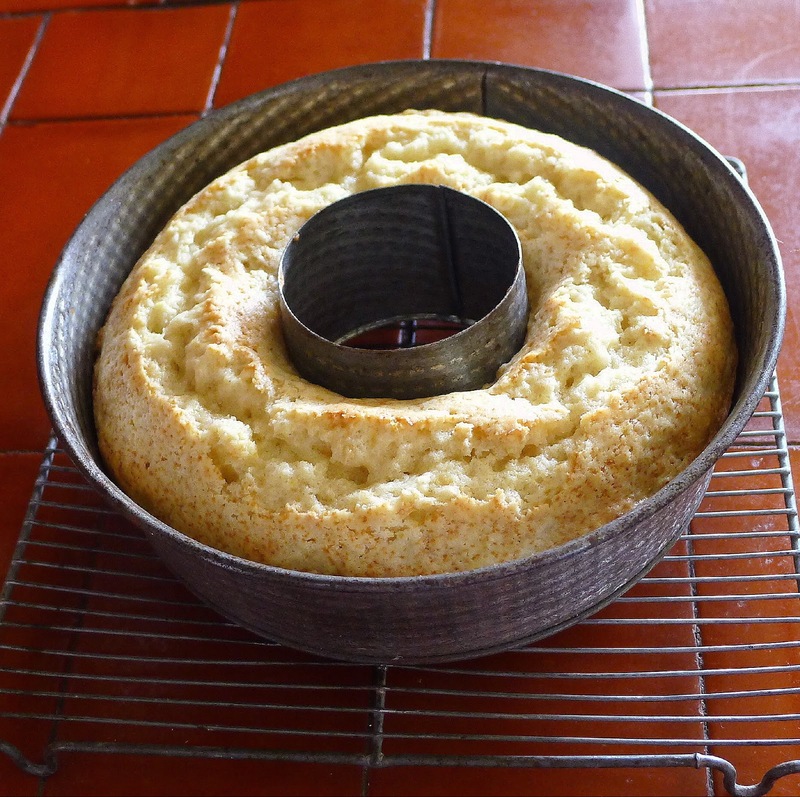 Use a knife to loosen cake from sides of pan, then release spring and remove the ring. Slide cake onto a serving plate. Spread the top with sour cream, if using. Serve immediately or return to refrigerator to chill the topping. 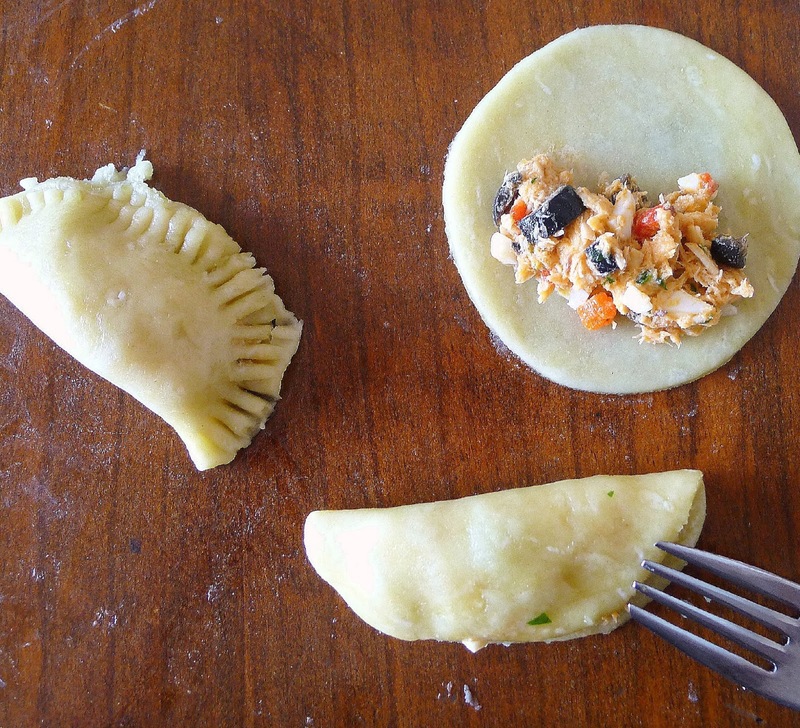 Three kinds of Spanish empanadillas, clockwise from the top: Catalan panadons with spinach filling; fried tuna empanadillas, and meat-filled Sephardic burekas. 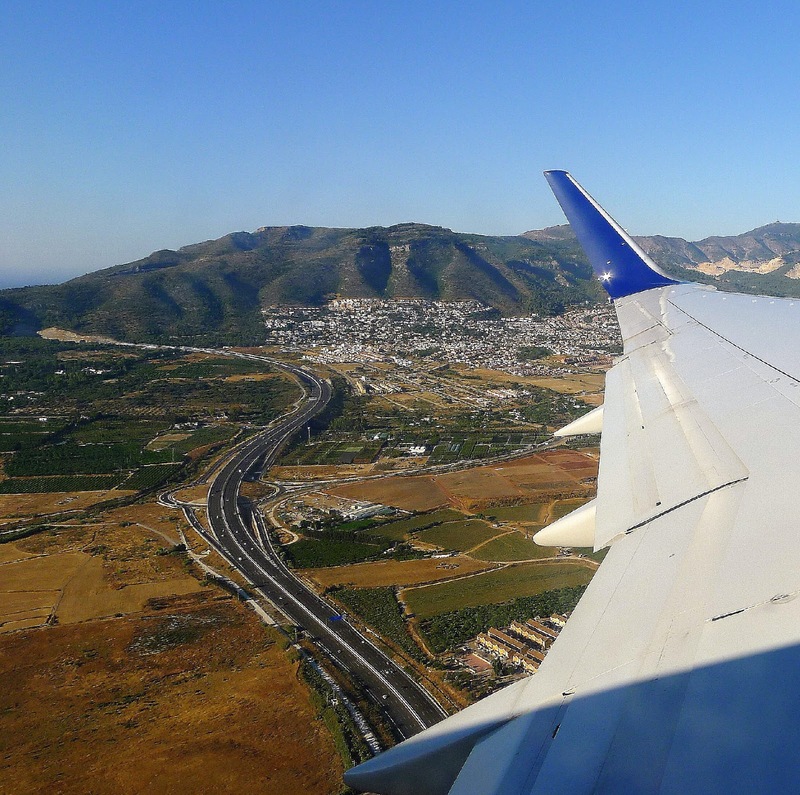 In medieval times, Spain’s Sephardic Jews lived alongside the Moors in Córdoba, Sevilla, Toledo and many other towns. 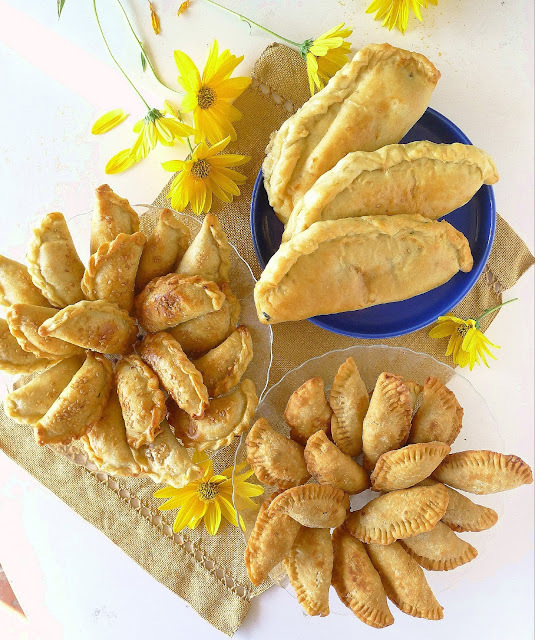 From their neighbors, they learned the art of making little savory pastries, which became part of cherished foods for special occasions. After 1492 (the year Queen Isabel and King Ferdinand conquered the last Moorish kingdom of Granada; funded Christopher Columbus’s first voyage to the unknown, and issued the expulsion order against Spain’s Jews), many of Spain’s Sephardim, forced to flee, were welcomed by the Ottoman Empire (present-day Turkey). 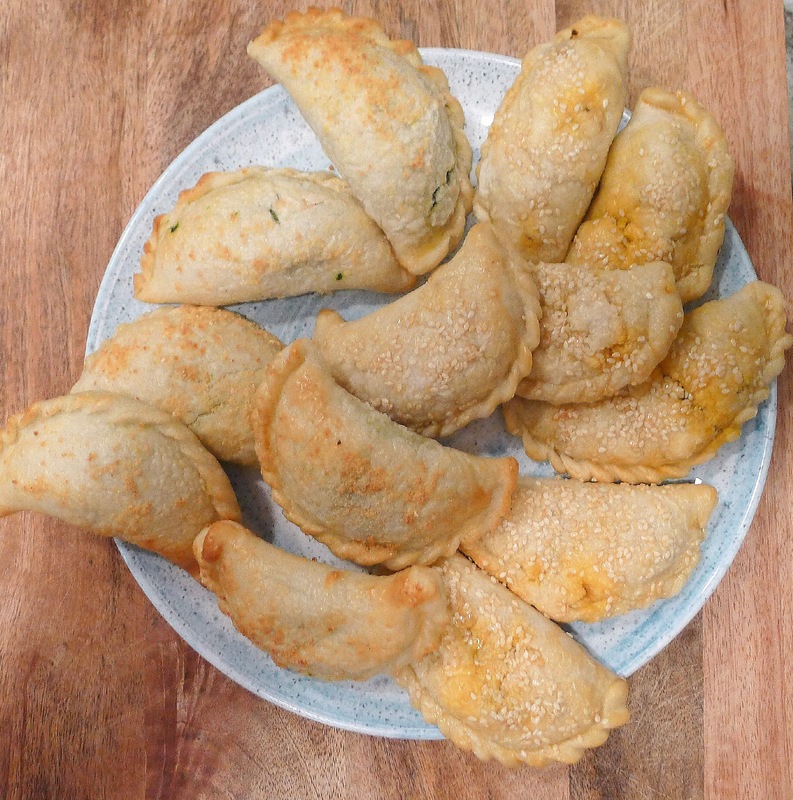 There Moorish empanadillas met Turkish börek, also a filled pastry. The Spanish-speaking Jews (their lingo is Ladino) took on the Turkish name, but added the Spanish diminutive ending, calling their turnovers borekas or burekas. Two kinds of burekas made by the Sisterhood at Congregation Or VeShalom in Atlanta. They are a little larger and much prettier than the ones I made. I sampled modern-day burekas made by the Sisterhood of the Sephardic Congregation Or VeShalom in Atlanta, Ga. 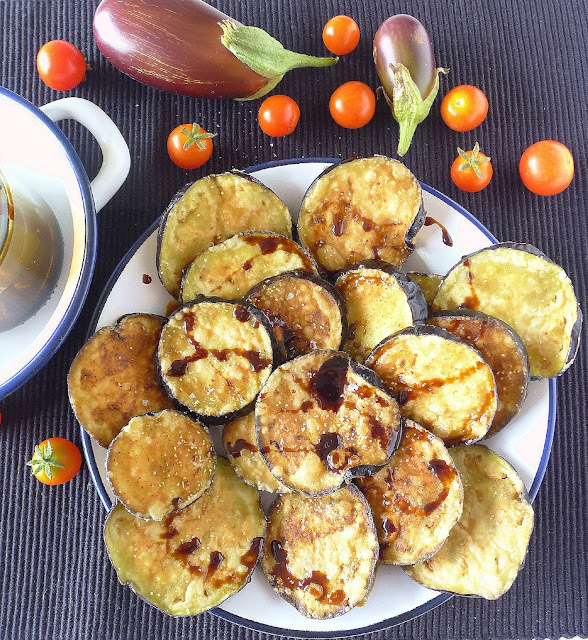 The women of the Sisterhood gather every week to prepare quantities of burekas, with fillings of spinach, eggplant and meat. (See a video of bureka making here.) 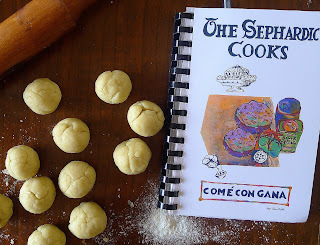 I also purchased their cookbook, The Sephardic Cooks, (published by Congregation Or VeShalom Sisterhood; Atlanta, GA.; revised edition 2008), which includes recipes for burekas (and dozens of other recipes with Spanish-sounding names such as boyos, huevos con tomate, apio con avas, pescado al orno, pastelles, and arroz con garbanzos). 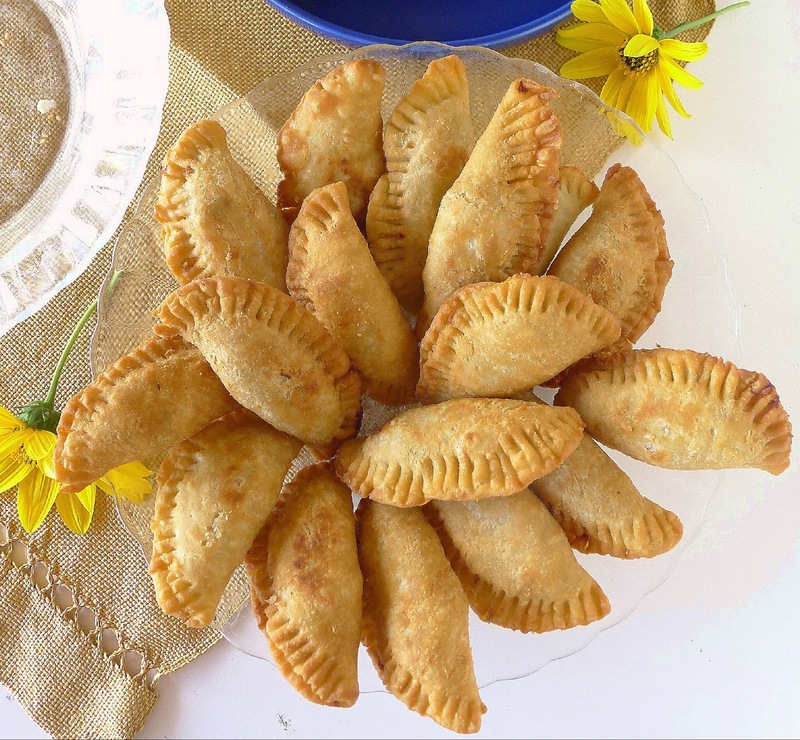 Back in the 15th century, as the Sephardim were dispersing east, Spanish conquistadores took the empanadilla west to the New World, where it became the beloved empanada of Argentina and of Venezuela, where the meat or cheese filling is enclosed in a maize-flour dough. 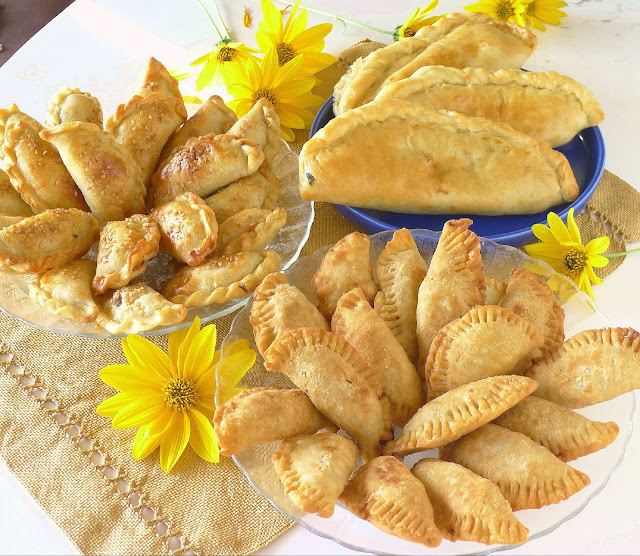 Here are three sizes of empanadillas, three different types of pastry dough, three fillings and two cooking methods (two are baked; one fried). You can mix and match them to suit yourself. The yields are given for the sizes used in each recipe. If you make them larger, you’ll have fewer; smaller and you’ll make more. I think I would prefer the burekas larger (6 inches instead of 4) and the spinach panadons smaller ((8-inch ones were kind of floppy). 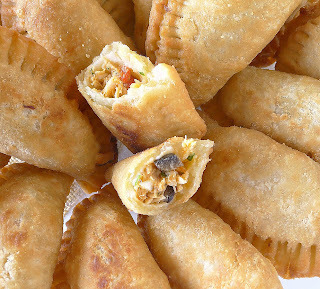 The most typical Spanish empanadillas--filled with tuna and olives and fried. Catalan panadons are filled with spinach, pine nuts and raisins. My rendition of meat-filled Sephardic burekas. Black or green olives give the tuna filling zest. 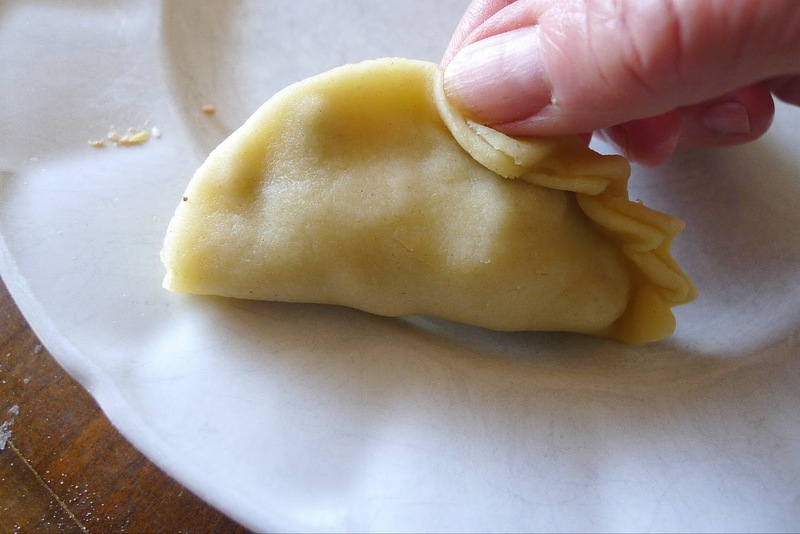 These are the most typical empanadillas in Spain, a part of home cooking. 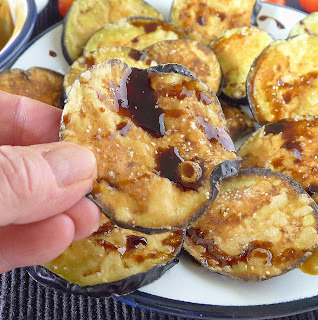 They can be put together with ingredients in the pantry. Even the pastry rounds can be bought packaged for quick preparation. 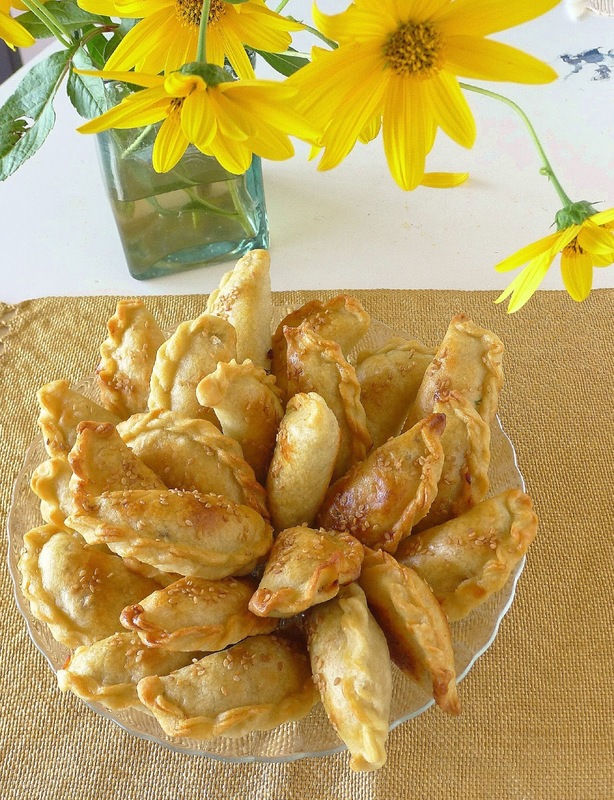 These empanadillas are perfect for anything from a picnic to school lunches to a cocktail party. The empanadillas are usually fried, but they can be baked instead. They can be served room temperature. 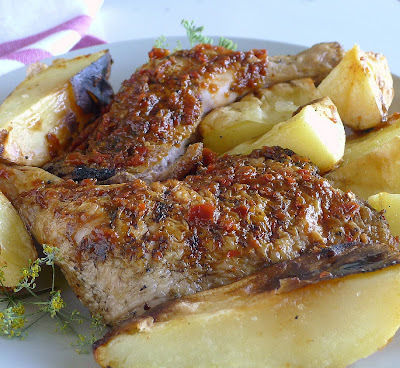 I used 2 (110-gram) cans of bonito del norte (albacore tuna) for the filling. Either green or black olives work in the filling. If you use pimiento-stuffed green olives, use ¾ cup and skip the pimiento. The tomato sauce required here is canned tomate frito, a thick, smooth tomato sauce (not concentrate). The filled turnovers can be frozen before they are fried. Place them on a baking sheet and place the sheet in the freezer. Once the turnovers are frozen, transfer them to a bag or container. When ready to serve, defrost the turnovers 2 hours before frying as directed. 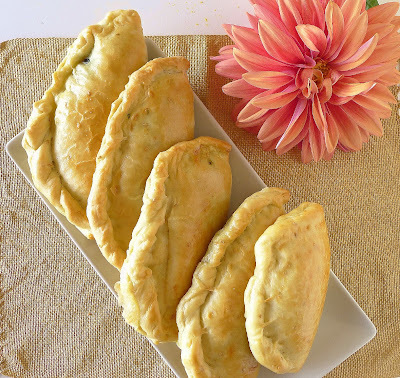 Makes about 30 (3 ½ -inch) empanadillas. 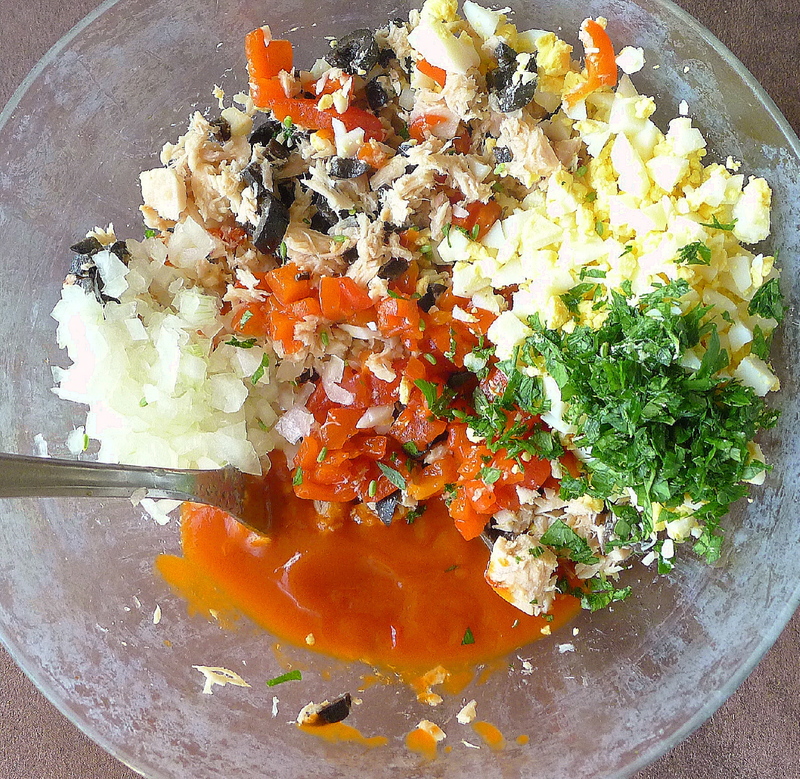 Mix tuna for the filling. 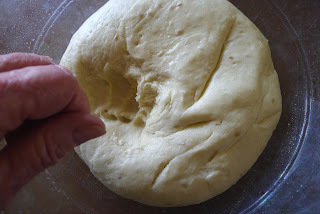 Divide dough before rolling and cutting. Divide the ball of dough into four pieces. Place one piece on work surface; keep remaining dough refrigerated. Dust rolling pin with flour and roll out dough as thinly as possible. 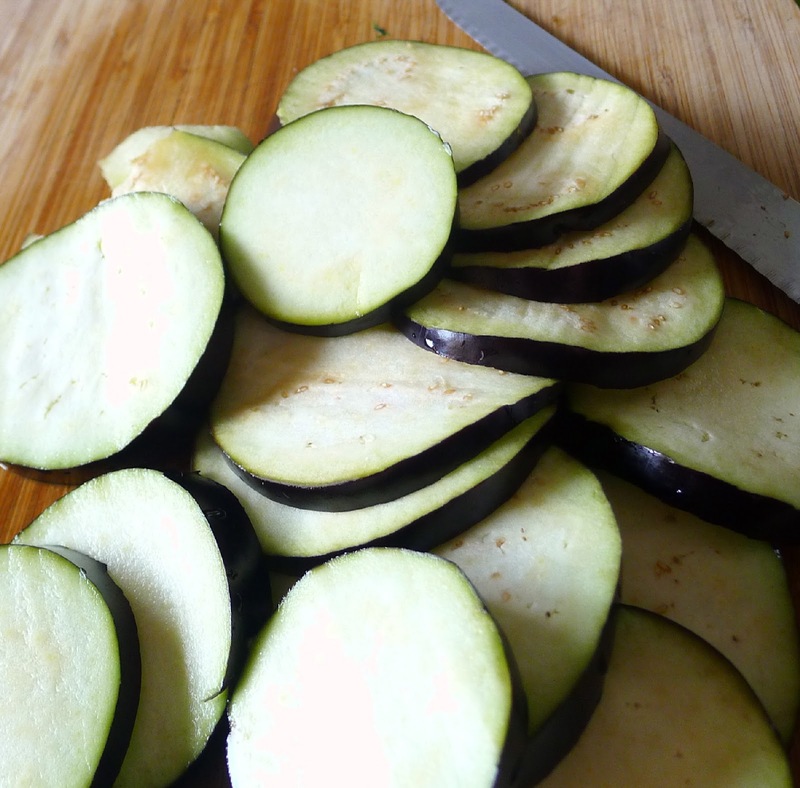 Use a 3 ½ -inch cutter to cut 4 or 5 circles. Gather up scraps of trimmed dough and return them to the refrigerator. Fold dough over filling and crimp edges. Place a teaspoon of tuna filling on each of the circles. Fold over and press the edges together. Use a fork to crimp together the edges, sealing in the filling. Place the empanadillas on a baking sheet as they are formed. (If necessary, use a knife or offset spatula to lift them off the work surface.) 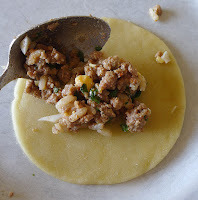 Continue rolling and filling the empanadillas. Place oil to a depth of ½ inch in a skillet. 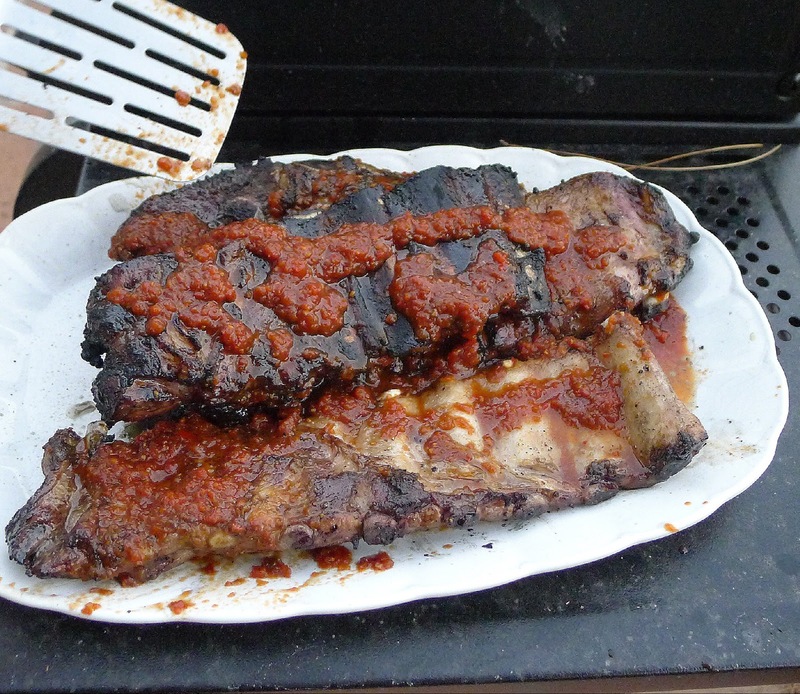 Heat until oil is shimmering, but not smoking. 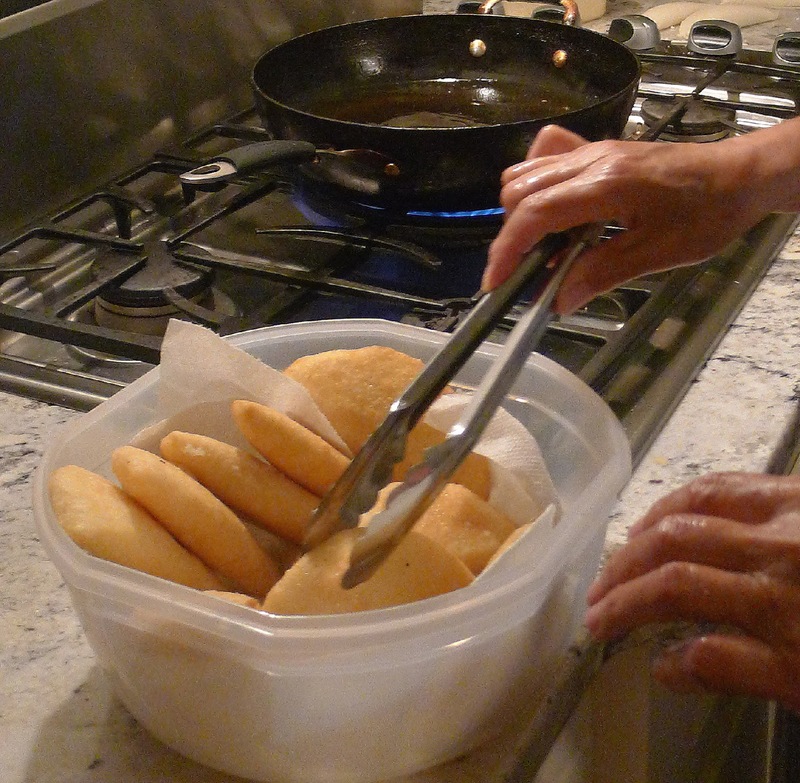 Fry empanadillas, 5 or 6 at a time, until browned on one side. Carefully turn them and brown reverse side. 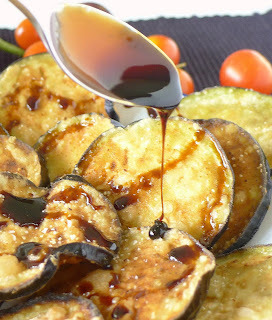 (If any of the empanadillas open while frying, skim them out immediately to prevent the oil from splattering.) Remove the empanadillas and drain on paper towels. Continue frying remaining empanadillas in small batches. This is a shortcrust pastry made with olive oil instead of butter. Don’t knead it as for the other empanadilla doughs. Gather into a ball, pressing to combine the ingredients, and chill it well before rolling out. 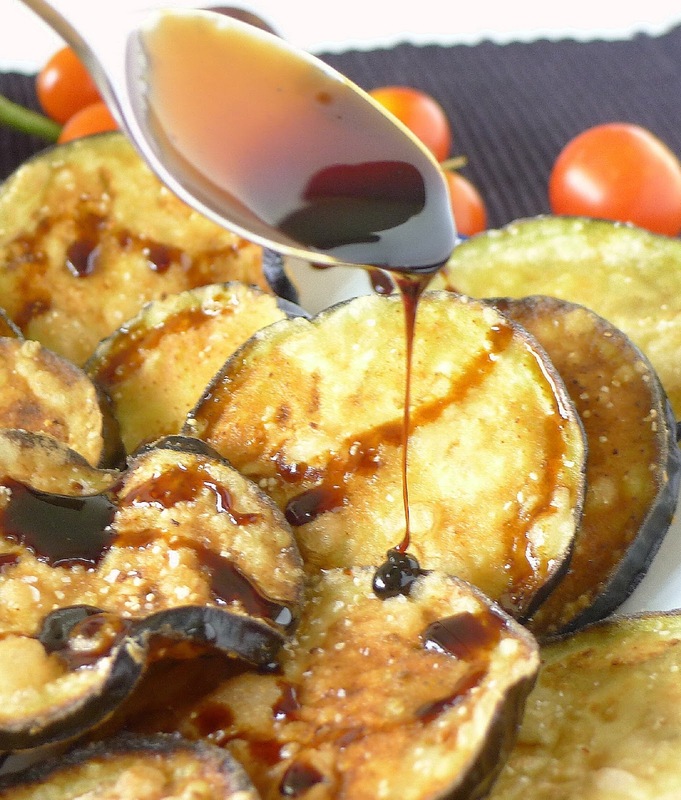 Combine oil, wine and salt in a mixing bowl. Use a wooden spoon to stir in the flour. Gather the dough into a ball and squeeze it a few times to combine well. Chill the dough for at least 1 hour or overnight. Divide the dough into 4 pieces. Roll out one piece at time, keeping the rest refrigerated. Refrigerate any scraps of dough before rolling and cutting them. Like a spinach sandwich--savory spinach with raisins and pine nuts wrapped in a yeast dough. This is a Catalan version of the Spanish turnover (panadons is just the Catalan word for empanadas). It’s not unlike the Sephardic bureka, but made with a yeast dough. You will need a 14-ounce package of frozen spinach or 2 (10-ounce) bags of fresh spinach leaves to make the filling for these empanadillas. Drain the thawed or cooked spinach well. 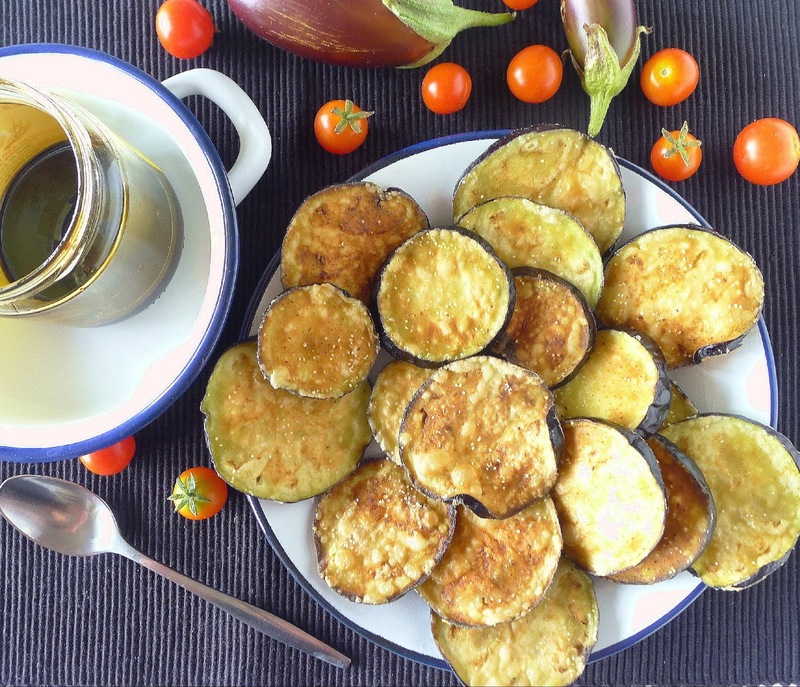 Heat the olive oil in a skillet and sauté the pine nuts until they are golden. Add the garlic, then raisins and chopped spinach. Season with lemon juice, salt and pepper. Cook until spinach is tender and all the liquid has cooked away. 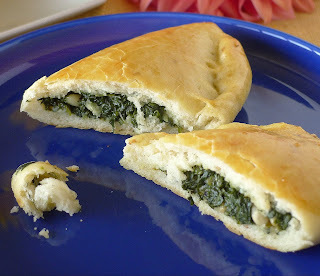 Let the spinach cool completely before proceeding to prepare the empanadillas. Spoon filling on rounds of dough. Roll out the dough to make 6 (8-inch) circles. (Use a bowl as a guide and cut the dough with a knife.) 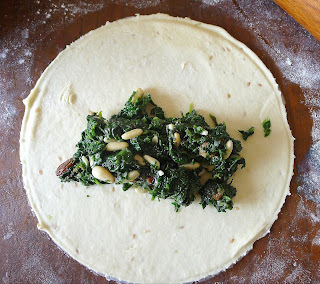 Place 2 tablespoons of spinach filling on one half of each round. Push slices of cheese, if using, into the spinach. Fold one half of the dough over the filling. Roll the edges together, pinching them firmly to seal the packets of dough. Preheat oven to 350ºF/ 180ºC. Line a baking sheet with baking parchment. Place the empanadillas on the baking sheet and bake until they are golden and dough is completely baked, 35 minutes. This soft, stretchy yeast dough makes a bread-like casing for the filling. If you are expert at making pizza dough, you can probably stretch the balls of dough into rounds. 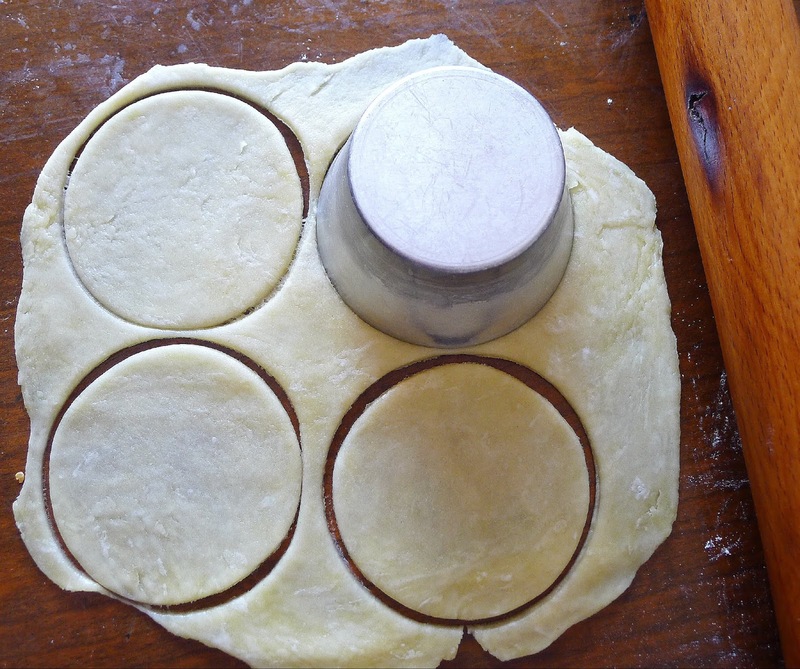 Otherwise, roll them out and use a pan lid or bowl as a guide to cut the dough into circles. Makes enough dough for 6 (8-inch) empanadillas. Place the yeast and sugar in a small bowl and add the warm water. Allow the yeast to stand until it is bubbly. Place the flour in a mixing bowl. Add the salt and sesame seed, if using. Make a well in the center of the flour. Add the oil and yeast water. Use a wooden spoon to mix in the flour and liquids. Turn the dough out on a lightly floured board and knead the dough until very smooth and elastic, adding the least amount of flour to the board to keep the dough from sticking. Gather the dough into a ball and place it in a lightly oiled bowl. Cover with a damp cloth and place in a warm place to rise, about 90 minutes. After yeast dough rises, punch it down before rolling. Punch down the dough and knead it briefly. Divide it into six egg-sized pieces. Pat and roll the balls of dough into 8-inch circles. This recipe for burekas comes from The Sephardic Cooks, published by the Sisterhood of Congregation Or VeShalom in Atlanta, GA. 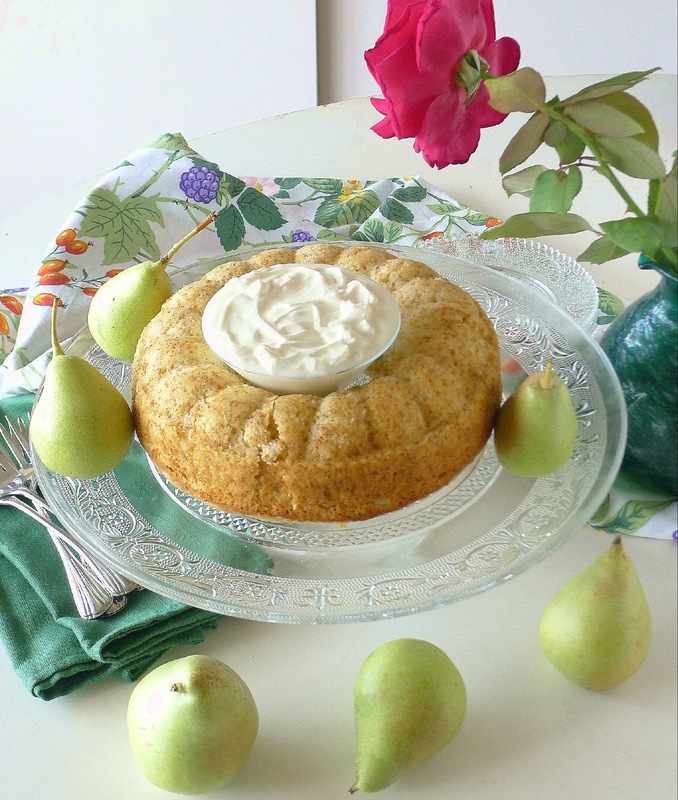 Besides the basic dough, the cookbook includes recipes for several different fillings. I’ve used the one for meat filling. 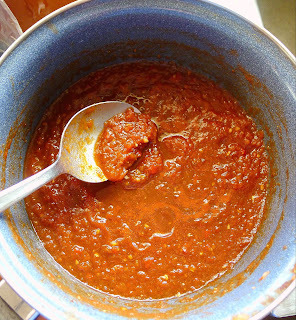 The recipe calls for “canned tomatoes, strained through colander with juice.” I used canned tomate triturado. 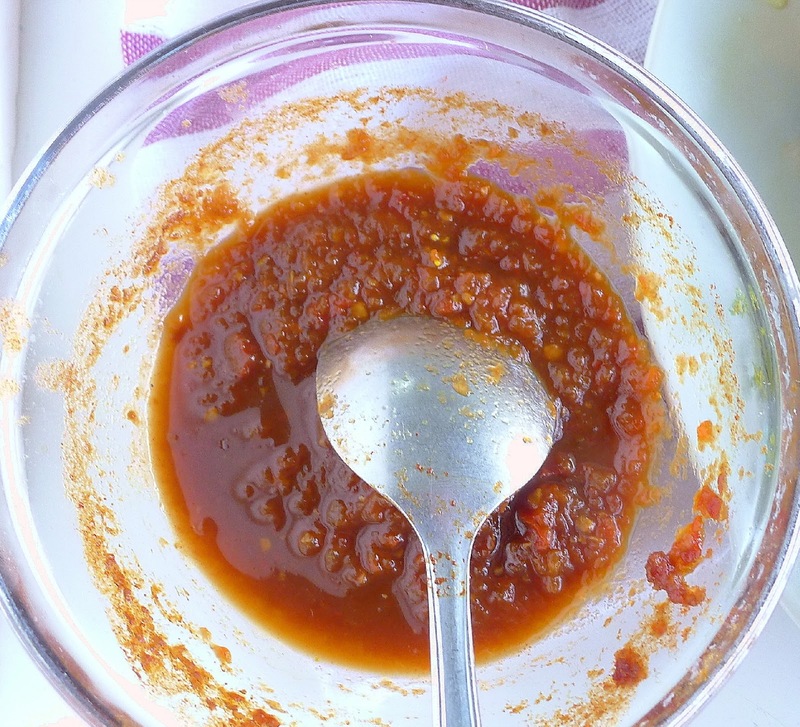 Every cook adds a personal note—mine was to season with some allspice. Having tasted the meat burekas made by the congregation Sisterhood, I thought mine were not as juicy. 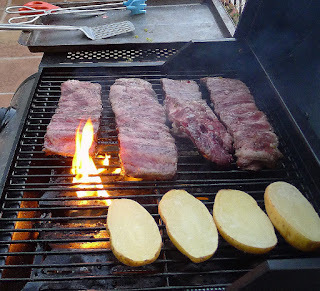 I’m thinking that is because Spanish beef is dryer, not so fatty as American meat. Also, their burekas were larger than the 4-inch ones I made. The baked burekas freeze well.. To serve, thaw them and reheat in a hot oven. Makes enough filling for 36 (4-inch) burekas. Heat the oil in a skillet and sauté the onions until softened. Add the ground beef and fry it, breaking up the lumps with a fork, until it loses its red color. Add the tomatoes and juice, rice, salt, pepper and allspice. Cover and simmer until the rice is tender, about 20 minutes. A spoonful of meat filling. Roll out and cut balls of empanadilla dough for burekas. Place a heaping teaspoon of filling mixture on one side of a circle of dough. Fold over into half-moon shape. Press the edges together, then roll and pinch the edges to seal the dough. 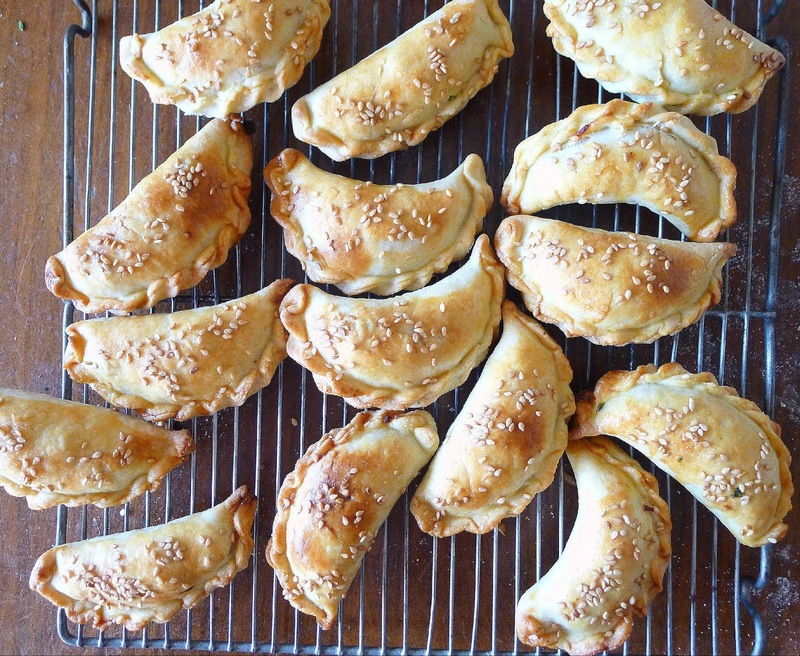 Place the filled burekas on a baking sheet that has been oiled or lined with baking parchment. Roll and pinch the edges together. Brush the burekas with egg. Sprinkle them with sesame seeds. Bake the burekas until golden, about 30 minutes. Cool them on a rack. Burekas are brushed with beaten egg and sprinkled with sesame before baking. Cool them on a rack. Serve the burekas hot or room temperature. This hot-water pastry dough is the one used for the bureka recipe. It’s super easy to work. Oil in the mix keeps the dough from sticking to the board, needing no additional flour. 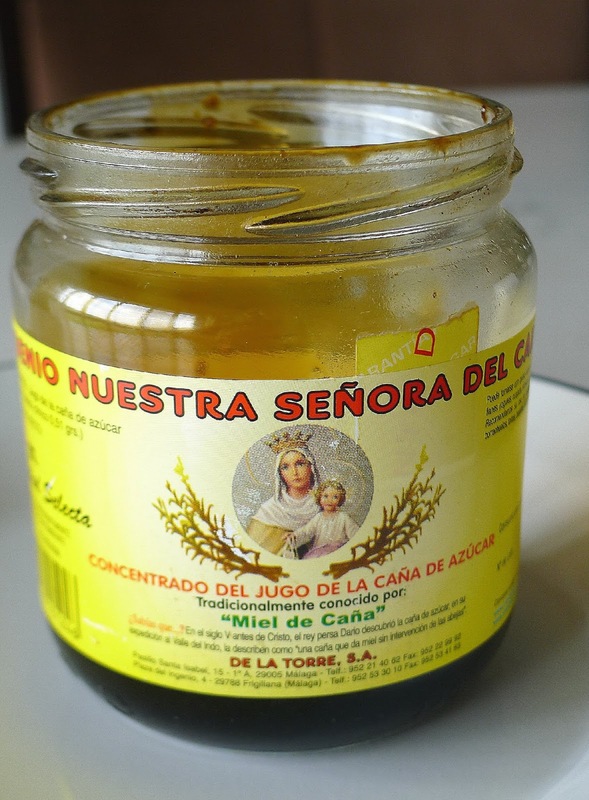 I used a recipe from The Sephardic Cooks, Their recipe calls for “vegetable oil.” In my kitchen in Spain, I use olive oil exclusively. It also calls for White Lily flour. I used all-purpose flour. I made half the quantities given in the book. Place the oil, water and salt in a large pan. Bring to a boil, remove from heat and immediately stir in the flour. Use a wooden spoon to mix the dough, then turn it out on a board and knead until smooth. Add additional flour only if dough seems sticky. Roll out the dough into walnut-sized balls. This recipe comes from The Sephardic Cooks. Roll out each ball thinly. Use a 4-inch cutter to cut each into circles. Gather up the dough trimmings, form balls and roll and cut them in the same manner. The dough is now ready for filling. My consuegra, Juana, fries empanadas venezuelanas, made with corn meal and filled with meat or cheese. A New World version of Spanish empanadillas. Empanada with Tuna and Tomato. “What should I blog about this week?” I ask, not really expecting an answer. Looking up from his breakfast, Leo says, “Pears. Pudding.” In Brit-speak (my grandson’s mother’s tongue), “pudding” means “dessert,” or any sweet. 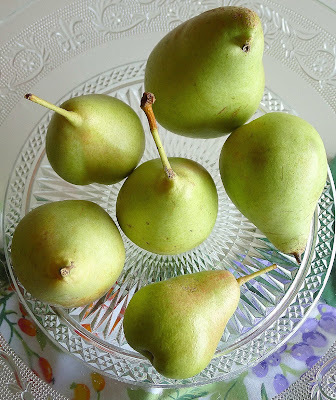 In front of us on the table is a bowl heaped with pears picked from my neighbor’s garden. They’ve taken almost two weeks to ripen and now they are perfectly sweet, but still firm. 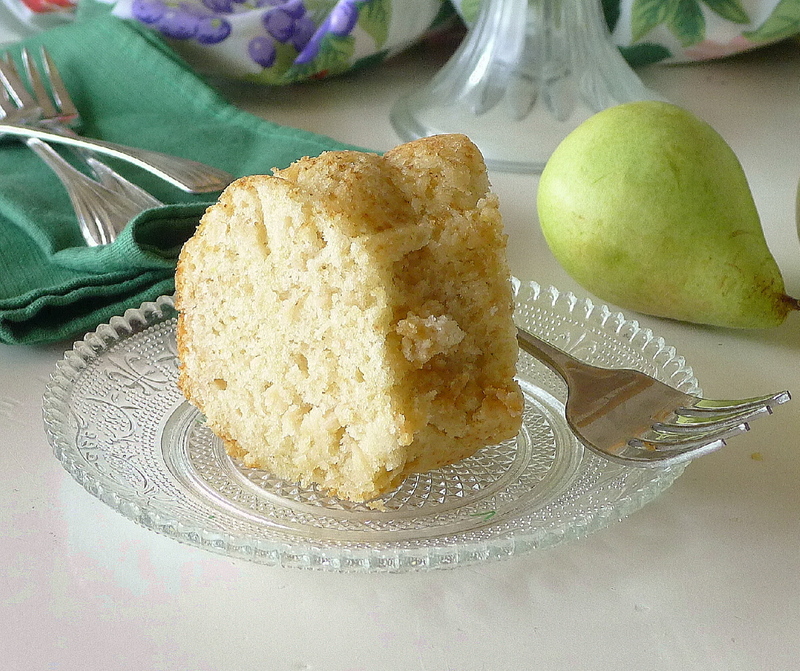 So, OK, Leo, this is for you, a sweet pear cake. 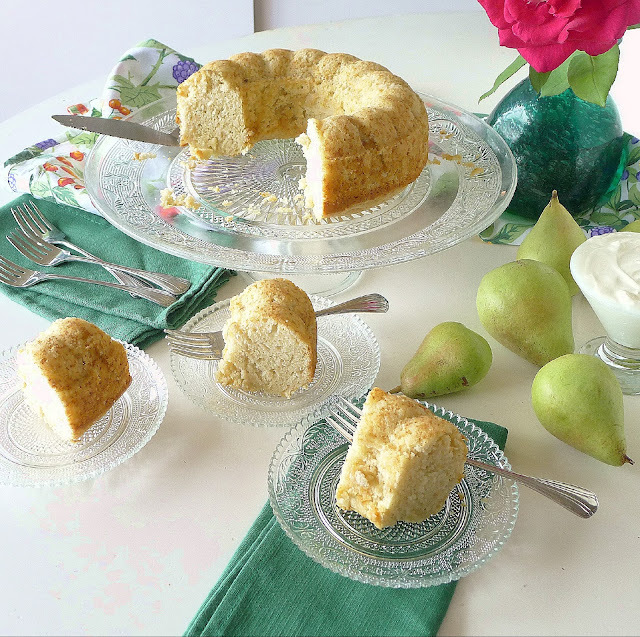 Chopped pears go into the batter with olive oil and yogurt for a sweet and simple cake. I'm serving the pear cake with unsweetened Greek-style yogurt. 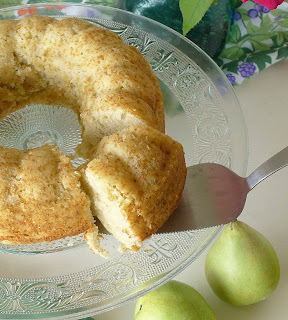 Olive oil makes a moist cake. 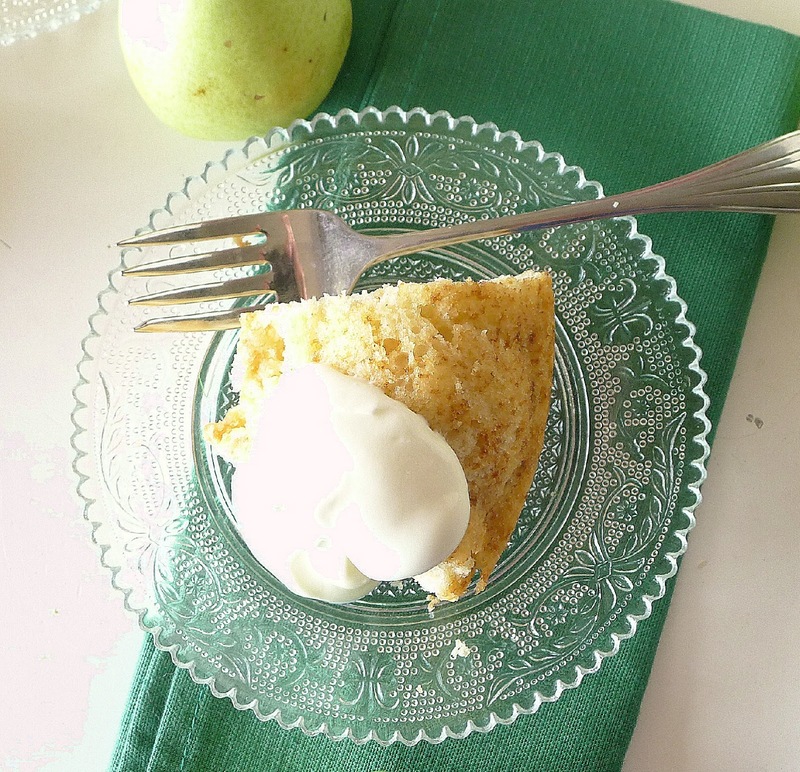 Ice cream would also be lovely with the pear cake. 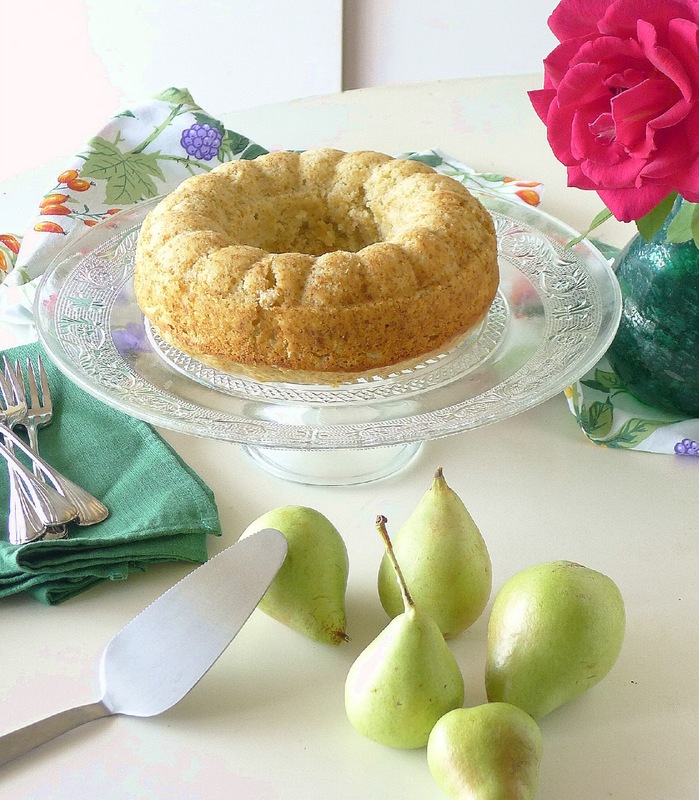 Use any variety of pear for this cake. The pears should be ripe, but firm. 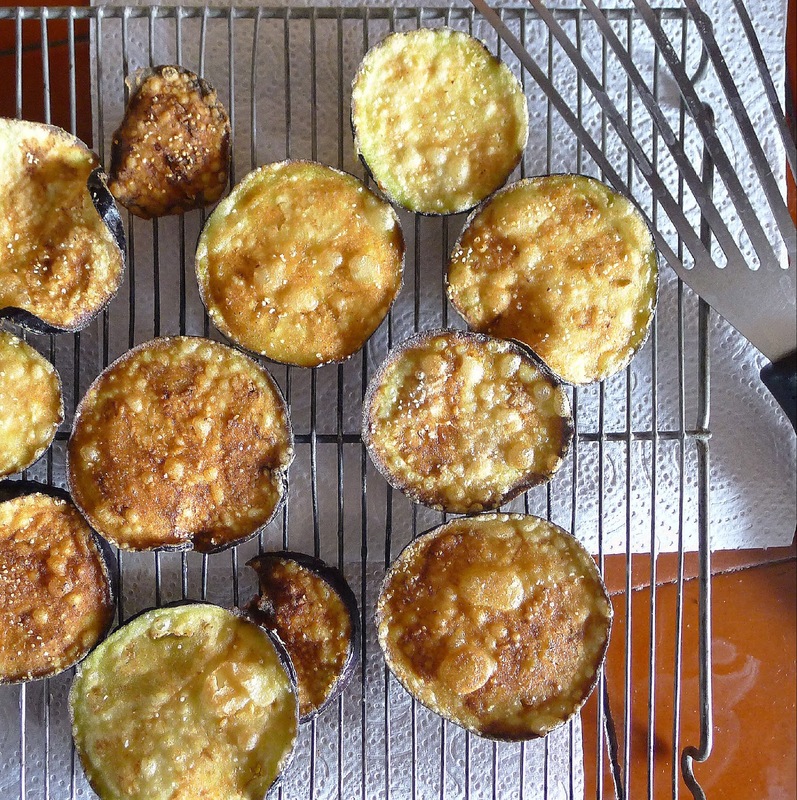 Either grate them coarsely or cut in small dice so they soften during baking but still have some texture. Bake this cake in a sheet pan or bundt mold. The deep bundt pan will require longer baking time than sheet pan. 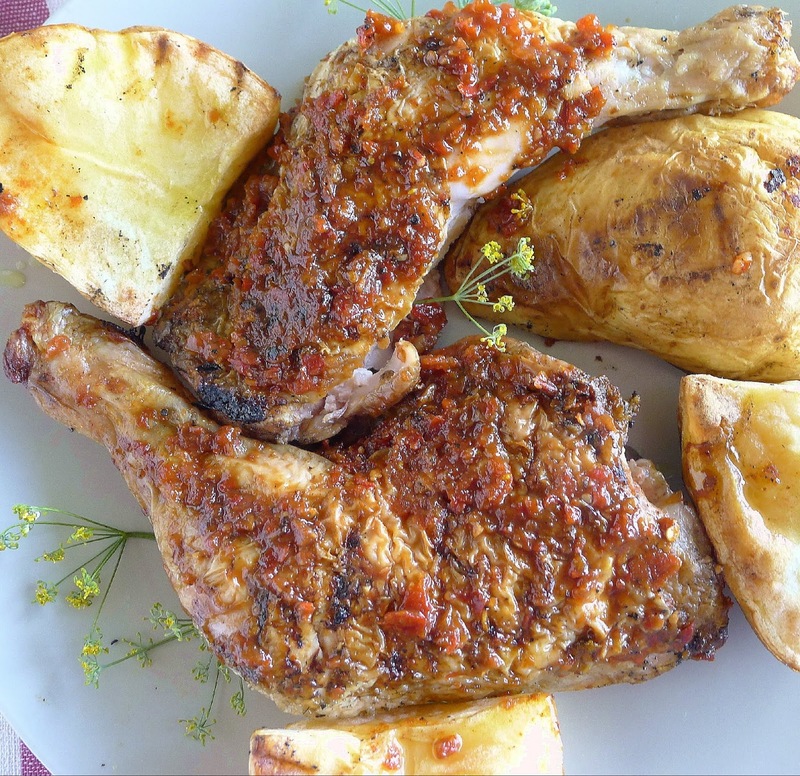 Preheat oven to 360ºF. 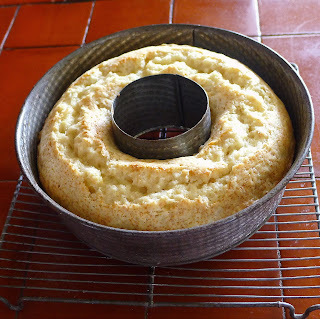 Oil a 6-cup bundt pan. Coarsely grate or finely dice the pears. You should have about 1 ¼ cups fruit. Sprinkle with the lemon juice and stir in the zest. Set aside. Sift the flour with the baking powder, soda, salt and cardamom into a small bowl. In a large mixing bowl, beat the sugar and eggs until light. Beat in the oil and yogurt until batter is smooth. Add the flour mixture gradually and beat until just smooth. Fold the pears into the cake batter. 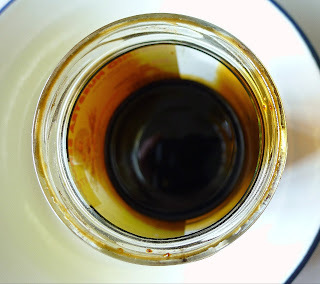 Pour into oiled pan. Bake until cake pulls away from sides of the pan and a thin skewer inserted in the cake comes out clean, about 35 minutes. 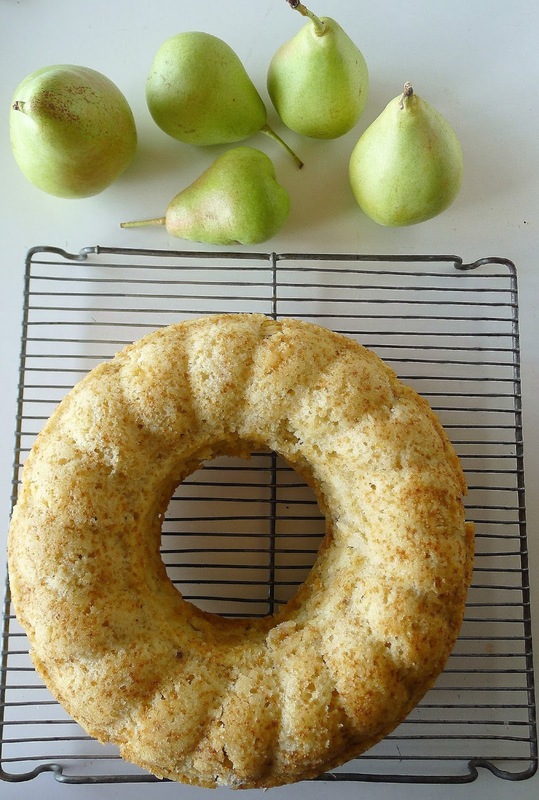 Cool the cake in the pan for 20 minutes. Loosen the edges with a thin knife. Invert the pan onto a rack. Allow to cool completely. Cheese Custard Tart with Pears.